Curate Content and Publish Content to multiple leading social sites in one go. Get tons followers. Save tons of time. You don’t want everything what web has to offer, you want best of what web has to offer. 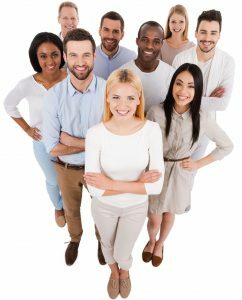 On ReputUp content is curated and shared by experts like you. Select topics of your interest. 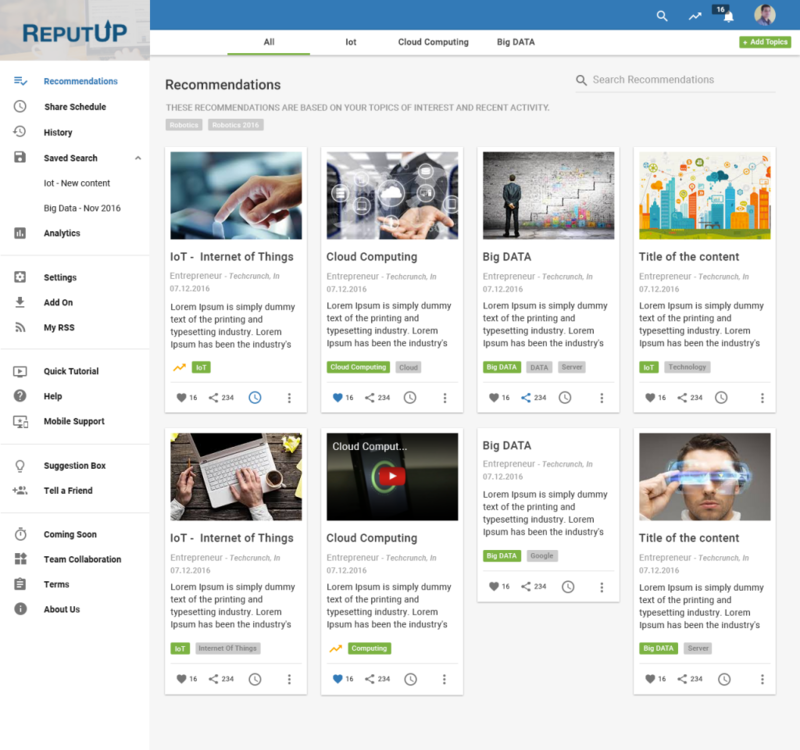 ReputUp will keep refining recommendation based on what you curate and share. Leverage global search to discover content curated for other topics. Set just once, sites to post your content and time windows to publish your content. Select content to share when you have time. Content gets added to Share Schedule. Content gets posted automatically on leading social sites as per the set schedule. You can use ReputUP straight from the web on all browsers. You don't need to download or install anything to enjoy our service. We’ve optimized our website to work seamlessly on all mobile devices. Now you can access and manage your activity whenever you want, wherever you are.